Thinking of having a dog for your family and don’t know what types to choose and which one will be best as companionship while their little kids at home. As your kind of information there are of unlimited dog species you will find. Each one of them are the most popular dog breeds for children in america has different quality and natures, some are good with adults and some are so naive easily cope with children. Before having a pet dog, kind of small research, we have done for you from the surveys of American people petting in these days and other authentic side of dog information. 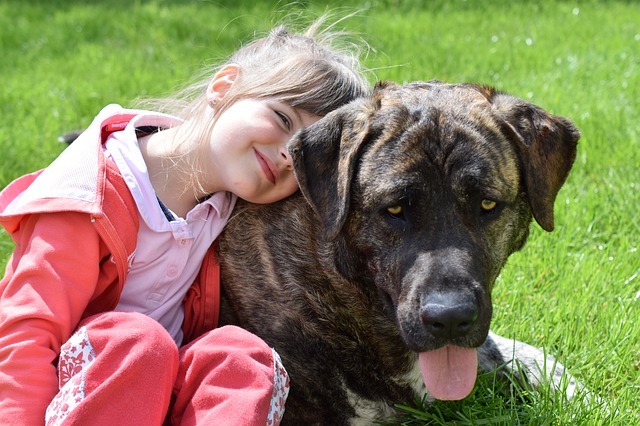 In this article, we only covered that types of dog quickly bond with children as the parents saying and kids also love them to play and fun. We have compiled a list of 10 popular dog breeds quite available and reasonable from rescue organization or breeders farm. Boxer is one of the popular and gentle giants for your family. If you are thinking of getting new member you can choose this simple dog, no barking no hassle and bustle. It loves to spend time with human most of the time. The look of this dog may tough and muscular but it shows very strong bonding with children like their own child. The dog weigh about 65 to 80 pounds for male and 55 to 70 pounds for female and their lifespan 8-12 years. Like the rest of the dog they need daily exercise of long walking or jogging and weekly once grooming is enough to have a healthy life. You can train the dog easily of litter, potty, playing and surprisingly listen to you like family member. Labrador retriever is the most popular choice in America because the adult, the child, the old like neighbor has the same love affection for the dog. I have on of this from the day it born like forever with me. The surprising thing about lab is it mixes like he is our family and no matter what stands with us in pain or laugh or might be in sick. Oh my god, I can’t think my life without may max I gave the name. When I called him, he just run and hug me, that’s a wow moment for anybody who are affectionate with their dog. So, my best recommendation is lab but in the early age you should adopt it because its not like boxer easy training or loving creature. You have to trains them from the early age then they show their love to you. The dog Weigh around 55 to 75 pounds, sometimes it varies in male and female dogs. Lifespan of lab between 10 to 13 years, pretty long enough beside you. For their healthy life need lots of exercise like daily walking or jog and weekly grooming needed. Actually, a perfect dog for family and kids because it mostly enjoys outdoor playing and fun. 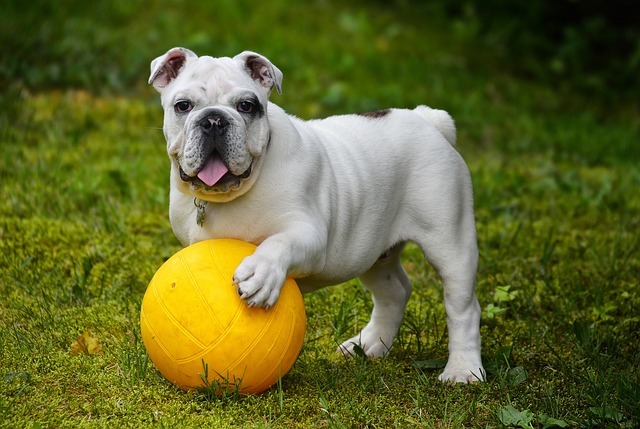 Bulldog is another family friendly pet dog in USA. It may seem tough and muscle but do you know this face “sourmug’’ is the universal symbol of courage and tenacity. It has the quality of good behavior, gentle with kids and not so busy schedule maintenance like the rest. As like boxer they have laziness attitude but you should practice regular exercise. You can not mistake the breed with other because they are unique and intelligent. it looks like chubby, loose skin head, pushed in nose, small ears, furrowed brow that suits them very fine. Bulldog lifespan 8-12 years and weight 45 to 55 pounds. They need short walking means lazy oldies doesn’t like to walk daily but need weekly grooming. Beagle are trained for hunting purpose but they love companion and easy going. They are big enough to hold and solid structure to play with. They come with different colors like lemon, red and white, and tricolor that such a charming combination for kids. These are lovable, energetic and clever pet dog with such a great enjoyment. The dog minimum 18-30 pounds weigh and 12-15 years lifetime. Easy to train and moderately shedding can be done, daily long walk or jogging or more playtime is needed for them. The dog has every qualities and natures you need as a family pet. Wondering for loud barking bark then old English sheepdog is perfect for you with its shady and double coated face. The dog is about 22 inches up, weigh from 50 to 90 pounds and the lifespan lasts 10 to 12 years. The charming dog need weekly grooming, trimming monthly. The dog seems lazy but not all they are the most adorable and playful with kids. Exercise make them healthy and fit so daily walking or jog is best for English sheep. So, you can have the dog for your family because it requires the demand every pet need like smart, adorable and intelligent. Here is another american most popular dog breeds , also it is one of the great pet dog from retriever named as the cute color of their. Friendly, devoted and intelligent dog, one of the top ranked breed in the world of pet dog. The special thing about the dog is they are trustworthy, outgoing and eager to please your family. The muscular, sturdy dog famous for their golden color coat that also known as their recalling name. It keeps their puppies behavior till the adulthood which is kind of cute and amazing. They past their time with swimming, fetching, waterfowl. The Lifespan of this dog is 10 to 13 years and weight 55-75 pounds. Grooming twice in week, daily walking or jogging must, constant shedding, difficult training but easy if you adopt them as puppy. Poodle are available in three sizes one is taller than 15 inches, other one 15 inches smaller and last one below 10 inches. Three version has the same equation very intelligent and proudly headed bird. People love their decoration like toy and kids just find crazy about them. Poodle are 10-13 Years lifespan still and 45-65 pounds weigh the big one and the little one very light weigh like 8 to 10 pounds. It needs minimal shedding and also rooming weekly, monthly trimming. Kids friendly dog and walk daily even by your children’s hand. The toy poodle no matter what their size is they are the true athlete and family friend. Dachshund sizes 8 to 9 inches and the miniature 5 to 6 inches. The weight of Dachshund 10-30 pounds and lifespan 10-13 years. And the basic things grooming weekly and easy training. Not daily just you can moderate the walk or jog. Kids love as friends but in the early adoption means from puppies it creates bond frequently. Dachshund are great for time spend and enjoyment, they are not like super running or walking. They are brave and smart with their smaller look owns the heart of animal lover. Want to surprise your children with a silky coat cute toy dog then Maltese deserve the option do such things. They are super cute and mini creature, a silky, long fur coated pet dog. The lifespan 12-15 years and weight 8 to 10 pounds. Children loves but careful sometime act crazy you can train them as well from puppies because one of the long live puppies in the world. Grooming Weekly, doesn’t shed, walking or jog need and such a playful and fun loving dog. Lifespan of mutt dog starts from 8 and lasts upto 11 years and Weigh 20-80 pounds. Mutt are actually gentle mixed breed of other species dogs. They are good company of family and especially for the child. Like other dog they badly needs exercise daily. They are Playful and kid friendly and grooming weekly needed.